a recent book by Erica Van Horn published by Colin Sackett under his imprint Uniformbooks. 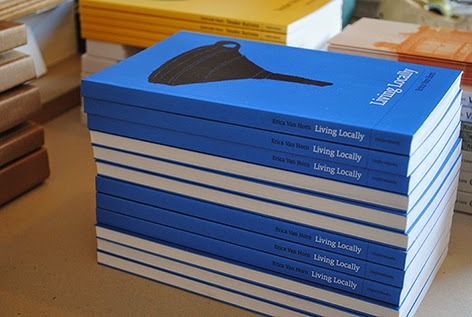 Living Locally selects entries from a daily journal written over five years about rural life in and around a farming valley in Tipperary, to the north of the Knockmealdown Mountains. 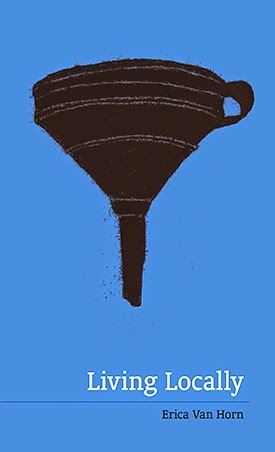 With needle-sharp observation and in plain words, Van Horn makes remarkable what might otherwise have gone unrecorded: the familiarity of neighbours, of animals and of weather, the regularity of the patterns of transaction on roads and in nearby villages and towns, and, from an outsider’s perspective, the unfamiliarity of speech and custom. What results is a human geography whose immediacy recalls earlier local and rural records and enquiries, such as the diary of Francis Kilvert in the Welsh Borders in the 1870s, or Cecil Torr’s recollections from his Dartmoor village, Small Talk at Wreyland. In common with these is a concern with both the colloquial and the vernacular, and the strangeness found in such a concentration of repetition and usage.